Conventional toothpastes are often made with abrasive chemicals, additives, and sweeteners. One chemical to look out for is propylene glycol, a solvent that’s an active component in some anti-freezes. And many toothpastes add in the controversial ingredient fluoride. An alternative is natural toothpaste. However, as Mommypotamus points out, not all natural toothpastes are truly natural and/or good for you. As with any product, you have to read the label and understand what the ingredients are and what they do. 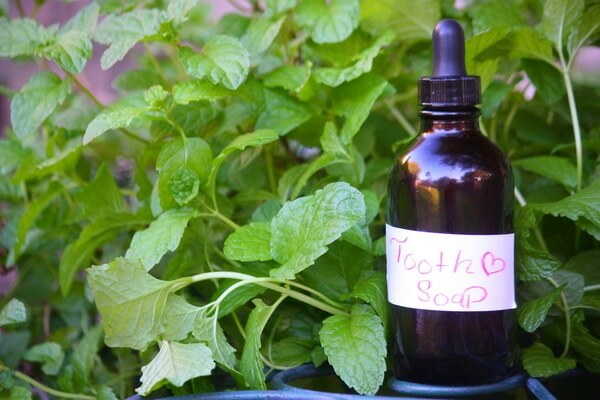 This Tooth Soap recipe is all natural and you can make it at home. It’s good for you, your teeth, and even your pocketbook. It’s a trifecta.